Bourbon is a great ingredient for autumn — it pairs well with seasonal ingredients like pumpkins and apples. It is great to sip on cool evenings; its warm caramel notes are a perfect counter to the first crispness of fall. 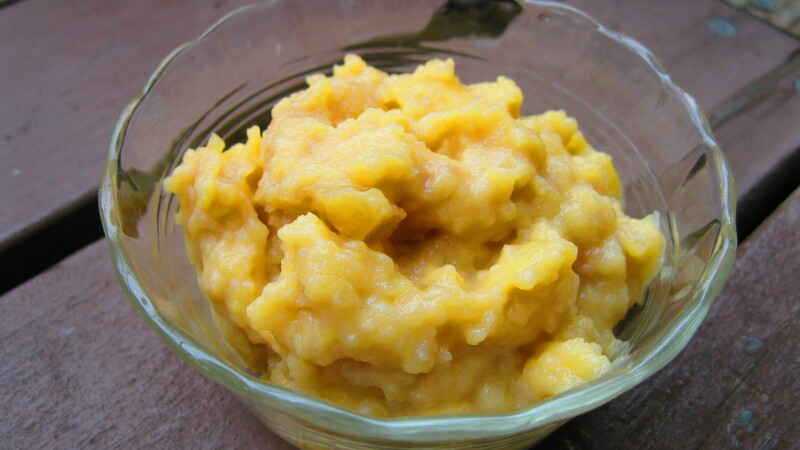 This version of applesauce is more like a rich dessert than a breakfast side or snack. The apples are sautéed to develop their flavor. The bourbon and ginger add complexity. The maple syrup balances the flavors. Heat butter in a medium-sized sauce pan over medium-high heat. Peel, core and slice the apples and add to the pan when the butter is melted. Stir and cook until the apples are soft, about 8 minutes. Add ginger and salt. Stir and cook 2 minutes longer. Add vanilla, bourbon and lemon juice. Stir and cook 5 minutes longer. Add cream and maple syrup. Cook for 5 minutes longer, or until most of the liquid has cooked off.